The European Union is mired in the worst crisis it has seen for many decades. And the crisis does not stop at Europe’s edge. The European Union is mired in the worst crisis it has seen for many decades. And the crisis does not stop at Europe’s edge. It threatens to undercut the EU’s ambitions to develop a coherent and active foreign policy, but it is also forcing European states to reevaluate their approach to security and defense. Richard Youngs examines the legacy of the crisis and what it will mean for the EU’s international role. The fallout undermines the EU’s foreign policy capacity and tarnishes its normative brand, compelling some member states to focus on realpolitik and their own national-level policies. But there are also signs of enhanced European cooperation, greater international ambition, and deepened commitment to the values of a liberal world order. 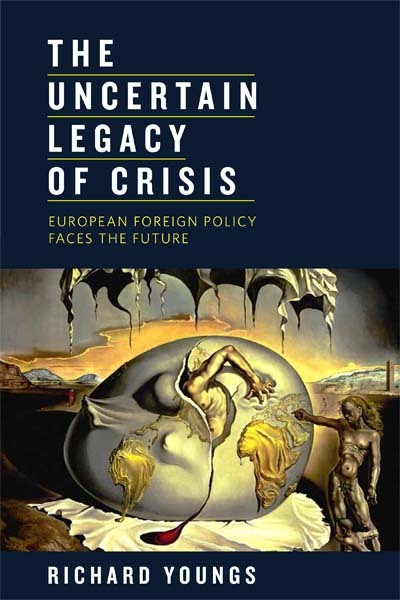 Youngs details how the EU can craft an effective foreign policy strategy while confronting an internal economic crisis and a reshaped global order. as Usa intelligence officer Pieczenik told: after the end of the Varsavia alliance, bin laden rappresented ,created the reason for the NATO organization to esist ,to keep unit the ideology strategy of Nato's country. now who is the target the the next enemy? the next motivation target?